Learning how to run an effective email marketing campaign is one of the keys to online business success. In fact, it’s fair to say that any business who doesn’t make use of email marketing is leaving money on the table, and that could eventually lead to their failure. Unfortunately, there is a lot of misinformation surrounding marketing via email, and that makes it more confusing than it should be. With that in mind, here are a few tips for running a successful email marketing campaign. 1. Know your market. Before you do anything else, you need to know who it is you are marketing to. If you have already done market research, then you are ahead of the game, but you also need to consider that your email recipients are a subset of your main market, and you may have to make adjustments to your marketing message to compensate. 2. Build a list. 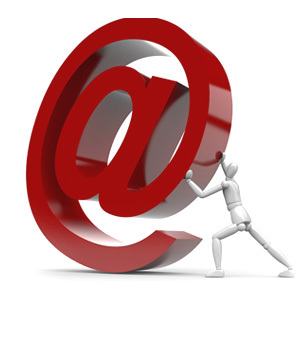 You need a list of email addresses that you can send your marketing message to. There are several ways that you can get such a list, and you can use a combination of ways to increase the size of your list. You should put up an email capture form on all of your websites, and ask people for their email address. Offering an incentive of some kind is usually a good idea. This incentive should be relevant to your business, and should be just enough of a reward to get people to fill in the form. 3. Don’t be afraid to sell. One of the best things about the internet is that just about anybody can use it to make money. The problem with this is that a lot of people without experience are shy about selling. If you have an email list, then don’t be afraid to sell things to them. Do you want to know what the real secret to selling is? It’s believing in whatever you’re selling. As long as you are selling high-quality things that people can use, then you have nothing to be worried about. 4. Stay in touch. You should send out email messages on a regular basis so people will remember who you are. There is no magic frequency for how often you send out messages, but somewhere between once per day and once per month works for the vast majority of email marketers. The messages themselves can help to guide you. 5. Test and track. Split test various parts of your email marketing campaign whenever possible. For example, you can try two different subject lines for the same message (with half of the people on your list getting the first subject line, and the other half getting the second). Then see which variation gets the best response. Test and track as much as possible, and then keep the best option as the benchmark for your next message. Over time, these small improvements will really start to add up. While email has been around for a number of years, there still seems to be a fair amount of confusion surrounding business email marketing. Some ways of business email marketing are better than others, but it still essential for businesses to understand how to make the most of this powerful marketing tool. We will take a quick look at some of the basics before moving on to how best to use email for your business. Marketing to customers is a great way to get repeat business. After all, these are the people who have already bought something from you, and that increase the chances that will buy from you in the future. Your business email marketing in this case could focus on offering special deals to customers only, giving them something for free just for being loyal, or inviting them to a special event. Anything you can do to let them know that you appreciate them will help. However, you should be careful that you never take this relationship for granted, otherwise your efforts could backfire. Another way to get addresses for business email marketing is to gather them when people contact your business. They may contact you with questions about your products and services, or they may wish to complain about something. You can send a series of informative messages to the people who have inquiries about your company. This series may be pre-written and ready to send out to each person as needed. Marketing to people with complaints is a bit trickier, but it can be done. One way to handle complaints is with an email message apologizing and then offering them something special to make them happy again. The next main group of people for business email marketing are the ones that voluntarily give you their email address. If you have a physical location for your business, you can simply ask people to give you their email address when they come to your store. Collecting their addresses online can be done in several ways, but usually involves offering an incentive of some kind. Remember, we are talking about people that would not otherwise be contacting you, so you need to give them a reason to share their information with you. Those who give you their email address directly typically need some form of incentive for sharing their email address with you. Remember, these are people who have nit purchased anything from you, and they have not contacted you. However, these are the people that make business email marketing one of the most important things you can do for your business. Learning how to market to them is a major key to online success. Mass email marketing is a fantastic way to promote your business and show potential customers that you are worth looking into as you can offer them the service and support they need. More conventional advertising such as back linking and article marketing are about getting as much exposure as possible. Email marketing, on the other hand, is about capturing the people who show interest. While the other advertising methods are meant to draw people in, email marketing is designed to hold their interest and close the deal, making you money. Through email marketing you can build up a rapport with potential customers, earning their trust until the point they are willing to part with their money. 1. Build up your list. Obviously the first thing you will need is a list of email addresses. The best way to do this is through your website. Make a page where people can sign up for your email list. Link this page throughout your website as well as the various other forms of advertising you use. This method ensures only those who truly care about your product will sign up, increasing your chances of success. 2. Automate. When dealing with mass email marketing, it can very very rapidly become too much for you to handle. Using specialized software can help you automate this process, giving you more time to work on other aspects of your business. You will still need to write the emails and set everything up, but the software can send the emails out to specific addresses, and give you feedback data to help you maximize efficiency. 3. Subject line. When writing your email, you want to make sure people actually read it. What is the point if they just delete it without even opening it? The subject line is what determines whether they read it or not. Try to use captivating subject lines such as posing a question, or maybe a little scare tactic to make them want to read the contents of your email. 4. Content. While getting them to read your email is important, if your email is not laid out properly then they might just stop reading and discard it. Try to keep your emails short and to the point with the most vital information at the top and the relevant link at the bottom. This way they will not be scared off by a giant wall of text or something and are more likely to see the information you want them to see. 5. Create a newsletter. There comes a point in mass email marketing where someone is going to want as much information as possible because they are willing to make a purchase. Creating a newsletter can help push them over the edge. 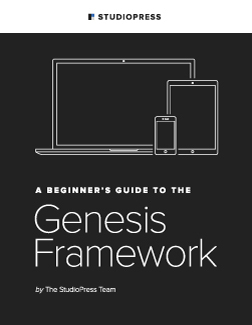 While most emails should be short and to the point, a newsletter gives you a way to give them an in depth look at all the details surrounding your product. This can be the final nail in the coffin to ensure they purchase your product, so it is strongly advised you create one (or several). Optin Email Marketing…Of The Many Marketing Tools Online, Optin Email Marketing Is Most Important! Optin Email Marketing-One Of The Many Marketing Tools Online Designed to Give Your Internet Marketing Business The Edge Over Other Online Businesses! Optin Email marketing is one of the biggest methods for advertising a website. While other marketing methods can make your website more known, email marketing allows you to build up a rapport with the people you are trying to sell to. It is a proven fact people are more willing to buy from someone they deem trustworthy, and that is the goal of email marketing. But how you go about email marketing is an entirely other matter. 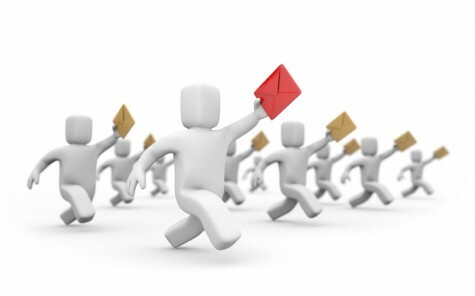 Optin email marketing is probably your best bet in this regard. Optin email marketing is where you have a page on your website for people to join a list of emails you collect. This means they are interested and, more over, willing to deal with the emails you are sending….translated this means they are expecting you to send them emails promoting their various products and services. Abuse this process and your optin email marketing list will not stay large very long! List…… Do Not Buy A List! There are other methods as well, such as buying lists of emails from specialized services. However, in my opinion, I do not like these types of services. The emails collected might be for people who have no interest in the product you are trying to sell, and as such ultimately do not help you, just wasting your money. If you have the extra money, the temptation is great to purchase an already compiled email list ……let it be a less because it will be a complete waste of your money. The sales letter will tell you how good the optin list is and how much you’ll make, a strategy used by online MLM companies…… I’ve tried them, I’ve spend a lot of money on them and the only one that makes money with paid lists are the people selling the lists. In fact, most of the people you send something to will report you as spam or send you nasty emails. Save yourself the hassle and do your list building right at the very beginning of your internet marketing business and build a quality optin email marketing list of subscribers. When you first go to set up an optin email marketing plan, the first and most important thing you will need is a place for them to opt in at. This is typically done by a specialized page on your website that can list the benefits of opting in, as well as the free offer you are presenting. The free offer is something that is pretty much mandatory, as without it they may not see the point in opting in. The offer should be something that they will want and could use, typically related to your product, or even a sample of your product. Just make sure not to give too much away otherwise they still have no reason to opt into your email list. Teaching your subscribers is a way of showing you care, and if you care they will feel more comfortable making a purchase from you. Once you have your list compiled you need to start sending the emails. At the start you can do all this yourself but eventually you will want to get some automated software to help you out. This software can manage your list, send out emails at specific times, and give you data to help tweak it’s efficiency. You will still need to write the emails and monitor the software, of course, but it can be a real lifesaver in the field of email marketing. The emails themselves are of course the most important aspect of optin email marketing, or any type of email marketing really. If your emails are not good enough, then they are not doing their job and people will not buy from you. There’s a lot of FREE Email Marketing Information at the Aweber Site …..Just Click Here and get some high quality optin email marketing information. The most important aspect of the email is the subject title. You want to make your subject something that will entice the person to actually open your email and read it. Often a question does this as they want to learn more. Other methods can be used such as bold statements telling them things, but the question method is generally the best. Subject lines are so important that entire books and courses are written just on this subject, but the subject line is definitely the deal breaker! Email marketing is a great way to promote your business and get your customers buying your product. If you can get it down and do it well, you will notice a massive increase over the time you did not use email marketing. The purpose of email marketing is to establish a relationship with your subscribers…… miss this and you’ve lost your gold mine! Email marketing is where you get a list of email addresses and send emails to them, promoting your website and the product you are trying to sell. While this method does not get as much exposure, that is not it’s purpose. The purpose of using this type of marketing is to build a relationship of trust with your potential customers. It is an established fact of commerce that people are more likely to buy from someone they deem trustworthy than someone that seems shady. It is all preventative so they do not get ripped off. So by building up a relationship with your customers, they are more willing to part with their money because they trust you and the product you promote. One of the most beneficial parts of using emails to help market your business is the cost aspect. If done properly, this type of marketing is actually free. You can buy lists of email addresses from special services (although I would not recommend this), but more importantly you can get people to opt into an email marketing list you make using your website. Once people opt into your email marketing list you can send them emails, which as you know, does not cost you anything. So really it is free advertising, the only thing it costs is time. Now, there are things you can purchase to help building your email marketing list go smoother, such as automated software. And while I highly recommend doing this, it is entirely optional. So if you are on a tight budget, you can still do this all yourself. It will be time consuming and tedious, but you can still do it. But again, I strongly recommend getting some kind of software to help automate the process, it makes a world of difference. In brief to build an email marketing list you need an email script, software or company that specializes in providing email marketing services. Hosting your own email marketing script or software is cheaper and many people start that way because you won’t have a monthly cost that is charged from some of the bigger email marketing companies such as Aweber or GetResponse. Here’s the problem, when self hosted you will eventually get poor email deilivery, your script could blow up (happened to me and I lost 5000 subsribers), if you want to make money online then you will want to spend the monthly charge for an Aweber Email Account and know that your subscribers will be safe, you will be safe and most importantly your email will get delivered in the highest percentages possible. When dealing with email marketing as a method of marketing, there are several different approaches you can use. Promotional emails are probably going to be the one you use most. These are just short emails to help promote your website and product and get people interested. But these are not the only types of emails you can use. I Use Aweber To Build My Email Lists! ‘In the internet marketing field there are some business owners that really don’t care about your feelings or anything else about you (list member) they just want you to buy something. They will send multiple emails per week, even multiple emails per day…… if you unsubscribe they will say good riddens! These guys just want a list of buyers. Not the best approach obviously! Think of it this way. You have a website on birds and bird watching. Your plan is to sell your birdbook along with some affiliate bird books and do reviews and promote bird watching gear from a place like Amazon.com. You’ll want to build your list by giving away some good info that birdwatchers need, let’s say how to pick out a good but cheap set of binoculars. Next you’ll want to build a series of emails that share how to start birdwatching, when to go, what to where, where to go, what type of equipment. Give this information away freely….. after each email you can promote your book or any of the other products mentioned. But you’ll want to keep writing your emails and put them in your autoresponder, heck, I know marketers that have 2 years worth of emails, some say they have 5 years worth loaded in an autoresponder. Newsletters as well can be used to great effect. You can give those on your email list a chance to sign up for a newsletter, this way only those who are interested will get it. A newsletter can provide a much more in depth look to the product you are trying to sell and give a lot more information. So for those seriously contemplating purchasing from you, this can be the one that pushes them over the edge. Email marketing is one of the oldest forms of marketing, and pretty much everyone uses it. From the one-man online businesses to the multi-national corporations. If you go to a big name companies website, odds are you will see something related to getting newsletters in your email and the like. There is a huge potential in this form of marketing if you are willing to take the time to make the emails and fill them with quality content. If you are willing to do this, then be prepared to see a stark increase in your sales eventually. Click Here to try Aweber Email Solutions for 1 dollar! 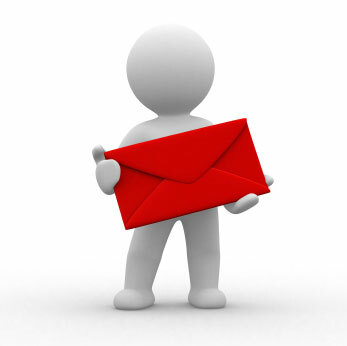 Email Marketing Campaigns …..Don’t Spam When Doing An Email Marketing Campaign! Utilizing email marketing campaigns can be a great method for building a rapport with your potential customers and showing them the benefits of buying your product. When you set up your website you should have an entire page dedicated to enticing people to opt into your email list. Show them the benefits and even give them a free offer. Most marketer’s will simply put an optin box and say, Sign up here for a free book….. but think how effective it would be if you actually devoted some content describing the benefits you’ll get by opting into your email list! Once you have them as members of your list, you need to know what exactly to do with them. Email marketing is not about spamming them with as many emails as possible. There is actually a process to it, so to help you get the most out of you emails here are some tips you can follow. 1. The point of your email. As I said above, email marketing is not about just spamming your potential customers with emails. You need a reason for emailing them. If you do not have a reason, why are you doing it? The reason can vary but mostly it should be about giving them little tidbits of information and links to things they might be interested in. You should always be trying to win them over so they buy your product. 2. Subject line. This is, probably, the most important part of your email. What you put here can determine whether or not the person even opens your email. If they are not even opening the email, then your email marketing campaigns a bust. So try to put enticing lines that make them want to read on further. Trail off to make it seem like there is more inside (because there is), or leave it as a question they might want to find the answer to. 3. Put importation information near the top. When it comes to emails, most people are actually fairly lazy. If they see a giant block of text they might ignore it outright, or only read the top. This is why you want to put all the real important stuff at the top of your email. This way, you increase the chances of them reading it and getting intrigued, wanting to read even more. 4. No images or excess HTML. You might feel like sprucing up your emails, especially with HTML. But you have to remember that a lot of people read their emails on their mobile devices. So the excess strain can make opening the emails take longer and they will not bother. Keep your emails clean and to the point, only include a link at the bottom in case they want to learn more. Train your email list to know what to expect with every email marketing campaign….. one or two thoughts, your directive to theme to take action and leave it at that. Pictures and images just get in the way. 5. Keep it short. As I have mentioned above, people do not like reading giant walls of text. So keep your emails short, giving only the facts. Bullet points are great for this. While long emails may be informative, if they do not help your email marketing campaigns success, then what is the point? If you keep the emails short you can use them as a hook, get them interested and willing to read more. But if you make them too long, your customers might not even bother. You know, even though it is unwise to buy into all the “push button” software hype online, that is not to say that there aren’t some real push button software products that can help make your life easier by automating some aspects of your online business. One of the best of these software products is an auto responder. Getting an auto responder is one of the cheapest and simplest ways to start email advertising marketing to grow your business. The concept is very simple: you want to be able to build a relationship and have more than one contact with the people who come to your site. In most cases, people will only come to your site once and then they will never come back again. When you consider the amount of time and / or money you invested to get them to your site in the first place, that is quite a waste. Wouldn’t it be great if you could keep them around longer? Well, the way to do that is to add an optin form to your website so you can gather their email addresses and names. Once you have that you can contact them over and over again and build a relationship based on trust. They will grow to like you, trust you and count on you to help answer some of the questions they may have about one or more areas in your niche. You will be setting yourself up as an expert in your field. 1. Don’t expect to “get” until you give. You must be willing to give of yourself your time and your knowledge before you expect the people on your list to buy from you. Just help them. Share your experiences or knowledge. The best way to do that is to write it down in an email. How about explaining to them how to do something? Tell them about some neat little trick that you learned along the way. Point out potential pitfalls they should avoid. 2. There will come a time when it’s appropriate to ask for the sale ,even though you have to be willing to give before you get. Sending an email every now and then where you recommend a certain product or service is ok. Make sure that what you recommend will actually benefit them and is related to your niche, though. 3. Keep your emails, and subject lines, interesting so they will be open and read. After a while the people on your list will start to look forward to reading your emails, if you’ve done it right. Take full advantage of all that technology offers you, especially when you are building your business. One of the best things you can use is an auto responder service so you can start an email advertising marketing campaign. Email marketing is one of the best ways to promote your online business. It allows you to reach both new and existing visitors and provide them with more personal support and increase your chances of making a sale. However email marketing is not as simple as just sending off emails. There is much more to it then that. This is why it can get a tad confusing. To help deal with that there is email marketing software. This software can help you manage all the various aspects of email marketing and help increase your efficiency, which translates into more chances for making a saleEmail Marketing Software. Some of the specific things this software can do are the following. Manage your lists. As time goes on and you build up a list of contacts whom you send emails to, it can get really overwhelming. Not only are there so many addresses, but you might not be sending them all the same thing or as frequently. So the software can help you manage all of this by automating many of the aspects involved with email marketing. Demographics. This email marketing software can give you various stats regarding your emails. For example, it can show you who actually opens your emails and who just deletes them and who clicks the links provided in those emails. You can use this data to tailor your software to be more targeted in it’s approach, only sending emails to those who actually want them and not bothering those who do not even read them. You can take that even farther by using the data to see which day and time has the best chance of getting your email noticed and read. Maybe people only check their emails on specific days and specific times. By looking at this data you can ensure your software is running as efficiently as possible. Different groups. You will likely be getting new people opting in to your email list, and some who have been on your list for a long while. So obviously you will not want to be sending everyone the same exact email. To help with this, you can set various groups with your software so one group gets one email, while another gets another email. Doing this allows you to send new members different types of emails to help get them along while still being able to effortlessly, and automatically send older members different emails. Automatic email marketing software is a great tool that any online business owner should look into. But be warned that this is not some magical device that will do everything for you. It can automate some of the more tedious aspects so you do not have to go and manually send off every email and it allows you to better organize. But ultimately it is just a tool to aid you. You will still need to write the emails and set up the software. But the benefit of having this software really is extraordinary. As it will save you a lot of time, money, and simple frustration. Email Marketing Lists A Choice? Email marketing lists are a great way to promote your business and product and drive traffic to your website. In fact this is one of the main ways for getting your online business up and running. But the question is, how do you get a list of email addresses to send emails to? We like to do things as easily and as quickly as possible, which is why buying these sort of lists seems like the best approach, but is it really? A List Always The Best Approach? When you buy a list, you have no control over it. Many of the email addresses on these lists are just out right fake, or have not given permission to be sent emails, or may simply have no interest in your product. So even if you buy a list of email addresses, you could consider yourself lucky if you got even a single email for someone who actually cared about your product. So instead of wasting your time and money buying these lists of emails, you should instead look into gathering them up yourself. If you are in charge of putting together email marketing lists for yourself, you will know that every email is authentic and belongs to someone who is interested in your product, increasing the odds of you making a sale. There are a lot of ways you can put together lists such as these. One of the most obvious methods is to simply use your own website. On your webpage put an area where they can opt into your email list to get updates and other cool information. Entice them by giving them a free offer, a sample if you will, of what you have to offer so they know you know what you are doing. This is the single best method you can use because it guarantees anyone signing up for your email list will have chosen to do so willingly and will have a vested interest in your product. Make sure you put these sign up buttons all throughout your website, but do not make them intrusive. There is a fine line between having good exposure and just being obnoxious. Also remember not to fall prey to a common mistake a lot of people do when trying to build their email marketing lists. You might be tempted to try and get as many emails as possible, and while this is not strictly a bad thing, it can hamper your efforts. While having a lot of emails is good, you also want to make sure each of those emails belongs to someone who cares about your product. If you make your offer vague enough, you will entice people who really have no interest in purchasing your product, thus wasting your time and theirs. So instead of doing that, make sure your offer is targeting directly at those who would buy your product. Yeah you might be turning some people away, but if they were not going to buy your product anyways, it is not really a loss. Focus on those who will actually buy your product. 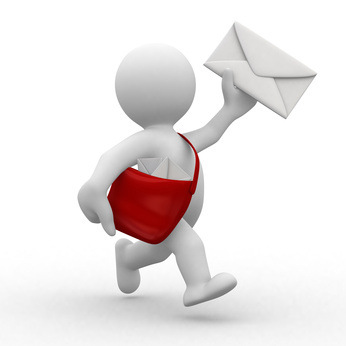 This type of email marketing list will put money in your pocket! 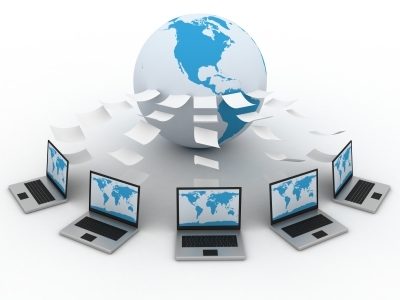 Like conventional businesses, internet business require a lot of marketing to be successful. However unlike conventional businesses, online ones require a different method of marketing, several in fact. While there are a lot of ways to market your website, the one this article will be talking about is bulk email marketing. Email marketing is, as it sounds, you send emails to people to build up a relationship with them so they are more inclined to buy from your website. There are a lot of ways you can go about doing this but to help guide you along are some very helpful tips. 1. Figure out how to get a list together. The list of emails for which you will contact is the single most important part. So how you get those emails really does matter. A lot of people will buy lists of emails in bulk from various services, but I have found these to have mixed results. The emails provided can be good, but, it is pretty iffy for something you are spending money on. Personally, I prefer to keep it simple and try to get them through my website. If you put areas on your site where they can sign up, maybe offer them a free sample, then you will know all the emails are for people who actually care about your product. 2. Be persistent. One of the key strategies to employ is bulk email marketing. However I will say it right away, do not spam. If you spam it not only turns them away, but could have bad consequences for you. Going in bulk is not the same as spamming. Send them emails consistently but if they tell you to stop, then stop. Be considerate of your customers, but also be firm in your approach. 3. Devise a schedule. When you send out your emails also plays a big part. Or more specifically, how often. A good rule of thumb is to start sending them an email every day, make sure each day it is unique and offers some new tidbit of information that could entice them. After about a week, drop that down to a few emails a week and then finally one email a week. This will show them that you care and are eager, but also do not want to spam them. 4. Use good subject lines. Most people do not even open emails, they look at the subject and if it does not interest them, they delete it. So when using bulk email marketing you need to ensure your subject titles catch their interest so they actually read it. Some good ideas are to use capital letters as they can grab attention. Also …. can play a part, if you trail off at the end it can leave them expecting more and might pique their curiosity. Also try to throw in some personalization. Do not just make one email and send it to everyone, tweak them a little to be more in touch with the person themselves. A lot of software can help you do this.